Introducing private investigator Charley Field, the true-life inspiration behind Charles Dickens’ Inspector Bucket, in an intriguing new Victorian mystery series. December, 1853. 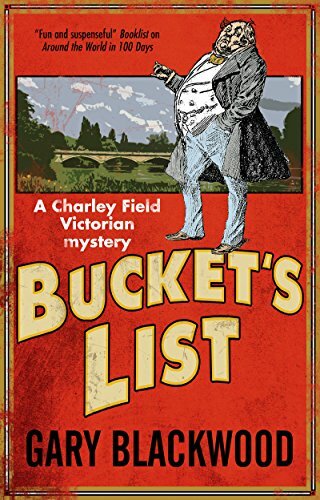 Having found fame as the inspiration behind Inspector Bucket in Charles Dickens’ recent bestselling serialization, Bleak House, former Detective Inspector Charley Field has set himself up as a private enquiry agent – so far without success. Matters become personal however when the body of a local prostitute is found floating in the Serpentine in Hyde Park. Having often enjoyed Rosa’s company, Charley is disinclined to believe the official verdict of suicide. Convinced Rosa was murdered, he determines to track down the mysterious client who visited her the day she died. But when he finally encounters the man he believes responsible for her death, Charley discovers that there’s more to Rosa’s murder than even a veteran sleuth like himself could imagine.